With many existing clients positioned in the third sector, it’s needless to say we are completely invested in using data for the greater good. The work we’re currently signing off with Hospice UK will allow hospice leaders to better understand and predict end of life care, which will prove an extremely beneficial tool once complete. With this in mind, we knew that it would only be right to continue to develop our relationship with charities, building those meaningful connections by providing support, and what better way to do that than by raising money for a meaningful cause? 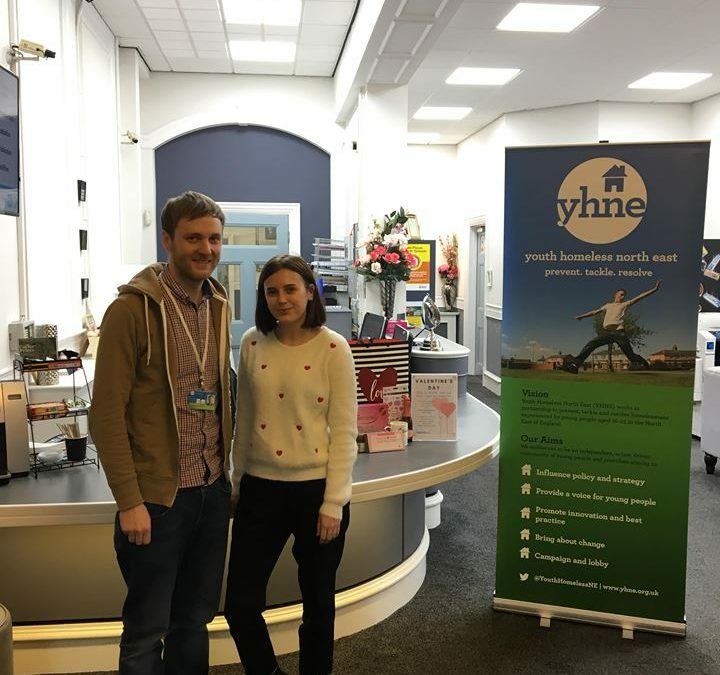 One of our Data Scientists had recently attended an event at Ellison Place, “Getting to Grips with the Homelessness Reduction Act with Dr Peter Mackie“, hosted by Youth Homeless North East. It was here that Youth Homeless North East were bought to our attention as a local charity aiming to prevent, tackle and resolve homelessness experienced by young people aged 14 to 25 years old in the North of England, and it was also here that we decided to raise money for this charity in a Valentine’s Day themed raffle. With the hamper gifts bought and posters stuck all over the Town Hall (our shared offices), we were ready to go. Overall, we raised £120 for YHNE, which is a brilliant result. We were also joined by David Whalley, Regional Project Manager in the morning, who spoke to us about the fantastic efforts that YHNE do to help young people get off the streets and into education, whilst making sure their voices are heard. We are currently working with YHNE regarding the different ways in which we can support their charity, whether it be through using data or whether they could benefit from an individual’s expertise. As a small business ourselves, we understand the importance of building relationships and engaging with other smaller, local businesses. 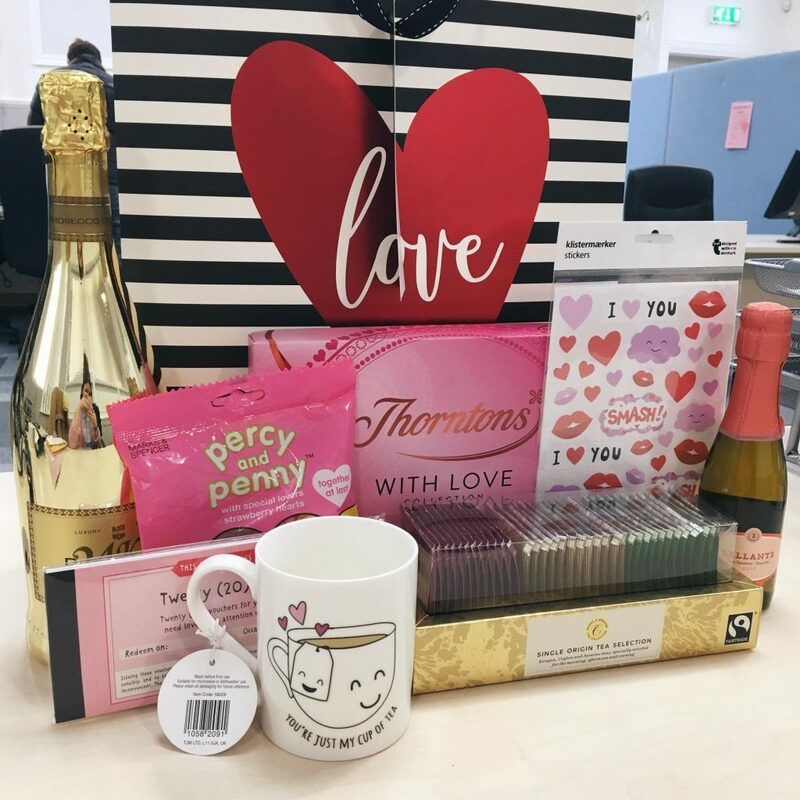 The Valentine’s raffle has proved to be a great success for both parties, even in terms of PR, we have both been able to tell our own stories around the day and the buzz that it bought. David has told us that the donations will contribute towards various things, including buying the pizza that is offered to young people as a means of encouraging them to get involved in activities! A special thanks to everyone in the Town Hall who donated money, and to David and the rest of the YHNE team for being especially great at the work they do. We look forward to working with you in the future!